Jasper Page was born on March 27, 1932, in Hattiesburg, Mississippi. He enlisted in the U.S. Air Force on September 7, 1951, and after completing basic training at Lackland AFB, Texas, he served as a Ramp Guard with the 20th Air Police Squadron at Hunter AFB, Georgia, from January to November 1952. His next assignment was as an electrician with the 2804th Installations Squadron at Hunter AFB from November 1952 to May 1954, followed by service as an electrician with the 832nd Engineer Aviation Battalion at Beale AFB, California, from May 1954 to September 1955. 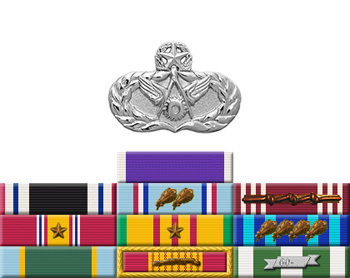 Sgt Page served as an electrician with the 3380th Installations Group at Keesler AFB, Mississippi, from September 1955 to June 1960, and then with the 5060th Air Base Squadron (later redesignated 5072nd Air Base Squadron) at Galena, Alaska, from June 1960 to July 1961. His next assignment was as an electrician with the 56th Civil Engineer Squadron and the 410th Civil Engineer Group at K.I. Sawyer AFB, Michigan, from July 1961 to July 1965. Sgt Page then deployed to Southeast Asia where he served as an electrician with the 33rd Air Base Squadron at Tan Son Nhut AB, South Vietnam, from July 1965 until he was captured and taken as a Prisoner of War on October 31, 1965. After spending 2 days in captivity, he managed to escape from his captors on November 2, 1965, and made it back to American Forces on November 4. 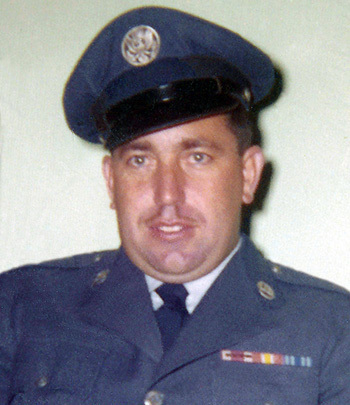 After returning to the United States, Sgt Page was briefly hospitalized to recover from his injuries at Travis AFB, California, and then served as an electrician with the 3415th Civil Engineer Group at Lowry AFB, Colorado, from February 1966 to November 1969. His final assignment was as an electrician with the 824th Civil Engineer Squadron at Kadena AB, Okinawa, from November 1969 until his retirement from the Air Force on October 1, 1971. Jasper Page died on March 23, 2016.